Welcome to the Library, we’re here to help! If you’ve just started a course at Exeter this year then congratulations and welcome aboard! If you’re a returning student then welcome back! We hope you’ll be using our Libraries and Library study spaces lots over the coming year. 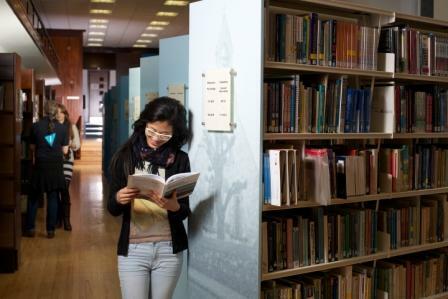 Find out more about the different libraries and study spaces we have available on our website: whether it’s the Forum Library, Research Commons, St Luke’s Library, The Amory Study Centre or The Sanctuary we’ve got spaces and resources to suit your differing study needs throughout the coming year. Library staff are available 7 days a week: we’re always happy to help and we’re keen to help you get the most out of your study experience at Exeter so – however large or small your question – never be afraid to ask us. Our main reception desks are located in the Forum Library entrance next to the Forum Street, and by the entrances in our site Libraries, Research Commons and St Luke’s. During staffed hours (08.00 – 20.00 Monday – Friday and 10.00 – 18.00 at the weekend) there will always a member of staff here who can either answer your questions or put you in touch with the person who can. Information Central is located on level -1 of the Forum Library. A number of Library staff are based here and available to help Monday – Friday 09.00 – 17.00. You’ll find the help desk immediately on the left as you step through the door. Come in and see us! Can’t find the classmark you need? Not sure how to use the issue machines? Don’t worry, Library staff are on hand! Library Customer Services are an active team working out and about – or, as we call it, “roving” – on the Library floors where you need us most. We wear a white or navy blue uniform and colourful lanyards so we are easy to identify. We can help you search the catalogue, access your library record or deal with a number e-resource queries on the spot, so there’s no need to queue at the desk. Any member of the team will be happy to help so if you see us let us know how you’re doing, and how we can help.
. We check and respond to messages 7 days a week, so don’t hesitate to drop us a line or, if you’d prefer, give us a call on +44 (0) 1392 723867. Keep up with latest Library news and developments by following this blog throughout the coming year. Or why not follow us on Twitter, or like us on Facebook? We use social media to share tips, facts, breaking news, fun quotes and competitions, and most importantly to make it easy for you to get in touch, so do speak up if there’s something you’d like to share. Or if you’d prefer to put pen to paper there are comments boxes located around our Library spaces. Questions, comments, suggestions and feedback good or bad we’re always keen to hear your thoughts on how we can improve our service, so do keep in touch. See you soon, in one of our Library spaces! This entry was posted in Using the Library and tagged how to guides on 19th Sep, 2013 by reg206. The end of term is nearly here! If you’re taking off for the Summer then from all of us at the Library, have a great time and enjoy the break! But don’t forget our Libraries will be open every day throughout the summer and that our loan rules continue as normal throughout the vacation period. This means for the many students and staff who arrive or choose to stay in Exeter during holiday periods we are here and open to provide help, support, study space and the resources you need. If you are going away from Exeter you are welcome to take books with you (though we advise against taking Library resources abroad) but do keep in mind that you will be responsible for renewing any items you borrow regularly throughout the vacation. You can do this online by logging in to your Library record. Please remember also that books can still be recalled by other library users. If a book on loan to you is requested by another Library user, you will get an email informing you of this and providing a new date by which to return it. So it is important you check your email regularly if you are borrowing stock during the holidays. Recalled books cannot be renewed and may be due earlier than the original due date. With normal loan books, you should get a week within which to return the item. This should be sufficient time to return the items by UK post if necessary and you are welcome to do this. Library books should not be taken overseas. Our recall policy exists to ensure fair access to our stock for all library users, so don’t forget if the books you need are on loan you can recall them at any time of year. Learn more about how to place reservations here. Return any books you don’t need before you leave Exeter. Please don’t leave Library resources locked up in your room or office over the summer, it isn’t fair to take them out of circulation if you’re not using them either and they could get recalled by other borrowers. If you do take our books away with you, be sure to renew them regularly (weekly for Short Loans, and every 4 weeks for Normal Loans). Do not take Express Collections items away from Exeter. Think Recall! Any item you borrow can be recalled by another user so please check your email regularly and be prepared to return items by post if necessary. Staff are here to help! If you have any problems or questions about recalls, renewals or anything else please get in touch as soon as possible. We’re available to help 7 days a week throughout the vacation period. Don’t forget, the Library is so much more than just printed books: we also provide access to over 100 research databases, more than 30,000 electronic journals and thousands of e-books. All our electronic resources are available off campus, so you may not need to take hard copies away with you this summer! This entry was posted in Using the Library and tagged how to guides, loan rules on 10th Jun, 2013 by reg206. Are you planning to start a course at Exeter University from the new academic year (September 2013)? If so, congratulations and welcome! Whether you’re brand new to Exeter, or a returning student – perhaps you’re a current undergraduate hoping to embark on postgraduate studies – we hope you’ll find your new course of study to be rewarding, stimulating and enjoyable. If you’re planning to be in Exeter during the summer before your new course starts you may wish to take advantage of our Pre-Registration Borrowing scheme. 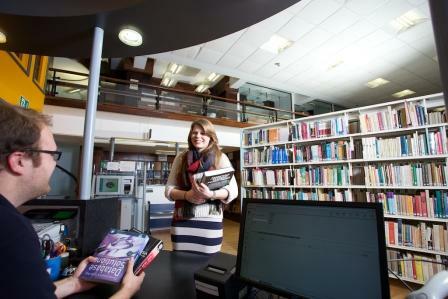 This scheme allows students who will be beginning a course at Exeter in Autumn 2013 to register with the Library early so you can borrow books over the Summer. The maximum number of items you will be able to borrow at once will depend on the type of course you are undertaking, see here for further details. 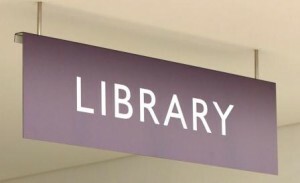 Exeter Libraries are open every day throughout the Summer, with staff on hand to help, so this could be a good way to get to know our resources or get ahead with your reading before the start of term! Please note that this category of membership does not give you access to our to our electronic resources, although if you live locally you are welcome to look at our electronic books and journals on site using the ‘walk-in access’ PC facilities at the Forum and St Luke’s Libraries. Please ask Library for more information about this. No! Pre-registration Library membership is free to all eligible future students. Sounds useful, how do I register? Call in to the Forum Library or St Luke’s Library and collect a Pre-Registration Borrowing form. Alternatively, you can print out the form in advance from this page: please select either the Undergraduate Pre-Registration Borrowing Form or the Postgraduate one according the category of course you will be commencing. The form needs to be completed and then countersigned by the College in which you intend to study. Once this has been done bring the form to the Library and we’ll supply a membership card that will let you borrow over the summer. This entry was posted in Using the Library and tagged how to guides, postgraduates, services on 2nd Jun, 2013 by reg206. Why not borrow a Forum Netbook? Need to work on the go? Why not borrow a netbook (slimline laptop computer) via the Forum Library? If you haven’t discovered the Forum netbooks already here’s a quick guide to how to borrow one and what you can with it. Netbooks can be used anywhere with a connection to the campus wifi (but they will not work off-site or via a cable connection). Log-in to the device with your university username and password and to access the following: your U: drive file space, internet, email, Microsoft Office, Adobe Reader and the Student Print service. Did you say I can print from a netbook? Yes! So long as you have sufficient credit on your account you can send your documents from the netbook to either the Xerox_Student_Monochrome (for black and white) or the Xerox_Student_Colour (for colour printing) queue then swipe in at the relevant printer to release the documents for printing in the usual way. So if you just need to print and the computer clusters are busy why not borrow a netbook and print from there instead? You can find more information about printing on campus on the Student Print Service webpages. 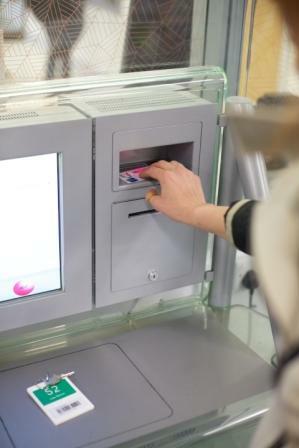 These loan devices are available through the self-service locker keys system in the Forum Library Express Collections area on level 0 of the Forum Library, just to the left of our main reception desk. 1. Pick up a green key from the hanging display on the right-hand wall. 2. Self-issue the key using the machine in Express Collections. Follow the instructions on screen or ask Library staff for help if you are not sure how to do this. You will need your University card to borrow. Your receipt will tell you the date and time the item is due for return, so always take note of this. Locker keys issue for 24 hours at a time but they can be renewed online via your library record, so long as nobody else has placed a booking on them. 3. Now take the key to the bank of lockers on the upper level of the Forum. Northside lockers (1-118) are located by the Guild Consultation Rooms. Southside lockers (119 – 236) are opposite Costa Coffee. Unlock the correct numbered door and the netbook is ready to go! Don’t forget lock up the door again and take the key with you while you are using the netbook. 1. First return the device to its locker. Make sure you plug it in using the socket in the back of the locker space to ensure it’s fully charged for the next user. 2. 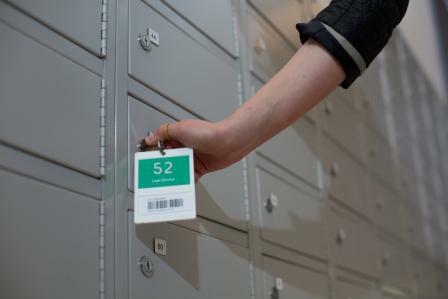 Ensure the locker is securely locked then return the key to Express Collections. Always make sure you return the key on the machine and get a check-in receipt as proof of return. 3. You can then hang up the key fob back on the correctly numbered hook. Further guidance on using the netbooks and troubleshooting basic problems can be found on a laminated instruction sheet contained within each locker of this type. Battery life is approximately 4 hours. A warning will appear when the battery is at 20% capacity or lower, but it’s always a good idea to save your work regularly. If the device does switch off unexpectedly you will need to log back in within half an hour to recover any unsaved work from your last session. Netbooks will only work on campus; they switch off automatically if they lose connection to the campus wifi, so don’t take them off site! To ensure fair circulation of these popular items fines are charged if you are late returning or renewing them (£1 for the first hour then 50p per subsequent hour overdue). To manage your borrowing responsibly and avoid fines always check your receipts and and contact Library staff as soon as possible if toy have any problems using the online renewal system. This entry was posted in Forum Library and tagged Forum Library, how to guides, services on 24th Apr, 2013 by reg206. In the coming weeks we will be showcasing the different bookable spaces that are available for you on Streatham Campus and at St Luke’s as well as explaining how you can book them. Planning some group revision in the run up to exams? There are 14 student group work rooms available to book online using the Request a Room web page and choosing the Student Group Work Areas option. This really is the main information that you need and, if you forget the link, simply type, “Request a Room” in the main University Search box. To help you retain this information, we suggest booking a room for yourself (and then cancel if not needed). If you try this you are way more likely to remember the process. Accessed via the main Amory building reception and are located within the Amory Study Centre. 4 x rooms that seat up to 8, screens and laptop connectors available. 1 x room that seat up to 6, desktop PC and additional video recording facilities. Open 8AM-9:30 PM 7 days per week, Monday-Sunday. 1 hours allowance per week, per student. Rooms available on a rolling 28-day basis. 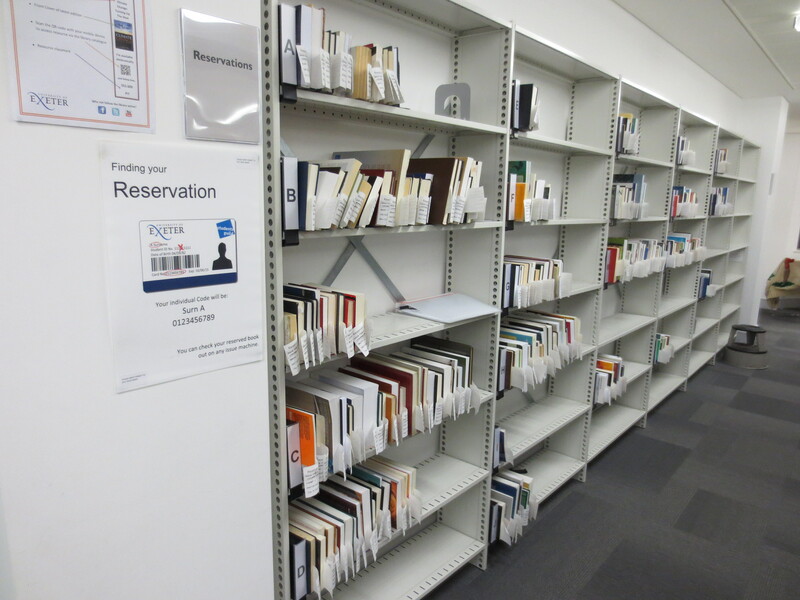 Accessed via the Student Services Centre in the Forum – Ground Floor. 7 x rooms that seat up to 3 people. 1 x room that seats 8 people. Bring your own laptop or use a loan lap (available from the IT Helpdesk). Open 5pm – 8pm Monday to Friday and 10am – 3pm Saturday. 1 hr allowance per week, per student. What is the purpose of these rooms? To help facilitate group working and studying, related to your academic studies. I can’t book more than a few weeks ahead. Rooms have been made available on a rolling basis, which allows fair access for all students. I have tried to book a session but it was declined, why is this? There is an allowance in place of 1 hour per week, per student. This can be split into two 30 minute sessions if you wish. I need some quiet space; can I book the room out for myself? This space had been designed for group work predominantly; please see the library website for quiet study space information. How do I feedback about these rooms? 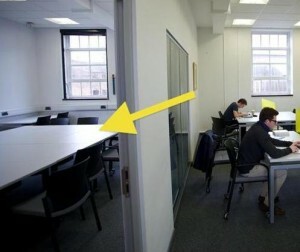 This entry was posted in Study Spaces and tagged how to guides, room bookings, study spaces on 8th Apr, 2013 by reg206. If you’re going away over Easter we hope you enjoy a lovely break, but don’t forget the Library will be open daily throughout and that our loan rules continue as normal throughout the vacation period. Books on loan to you can be requested by other Library users, when this happens they are “recalled.” You will get an email about this and a new date by which to return it, so it is important you check your email regularly if you are borrowing stock during the holidays. Recalled books cannot be renewed and may be due earlier than the original due date. 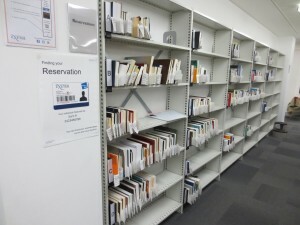 With normal loan books, you should get a week within which to return the item. This should be sufficient time to return the items by post if necessary. Library books should not be taken overseas. This entry was posted in Using the Library and tagged how to guides, loan rules on 26th Mar, 2013 by reg206. 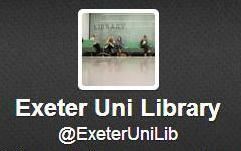 Not in Exeter but still want to use Library resources? You may find what you need among our constantly growing collection of e-resources, but if we only have it in hard copy don’t despair, we can also supply items to you by post. 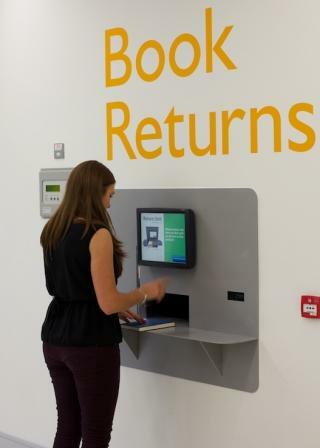 Did you know you can request and return Library items by post? If you are within the UK, Isle of Man, Northern Ireland, Eire, Channel Islands or British Forces Post Office then we can post out Normal Loan (28 day loan) books to you. You will be responsible for renewing and/or returning these items to us. You are welcome to return them by post if necessary. We can also send out photocopies of journal articles or chapters from books, these will be copies for you to keep and will not need to be returned. If you are overseas we regret it is not possible to post books but we can still send you photocopies of articles or chapters from books. The service costs £2.50 per book request or for every 20 pages of a photocopy, which includes postage and packing. Return postage for books will need to be paid by the requester. 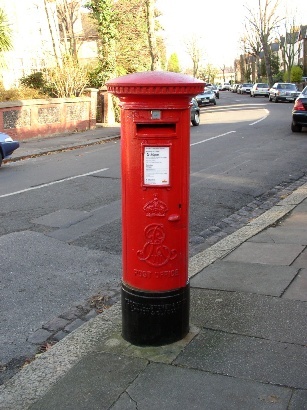 If you request books by post then you are welcome to send a cheque to cover the total cost of your request. Or you may prefer us to can add the £2.50 charge(s) to your library account, to be paid over the phone or using our online payment system via a credit or debit card. Please note if the total charges on your Library account exceed £10.00, you will need to reduce these to under £10 before you can borrow or renew any further items. First check the Library catalogue to make sure we have the item you are looking for and that it isn’t available electronically (we don’t send out items that you can readily access as e-books or e-journals).
. Please give as much bibliographic information about the items you require as possible and include page numbers if you are requesting journal articles or chapters from books. We try to dispatch items as quickly as we can but please allow 10 working days turnaround time, including posting time. Yes! Postal loan items will be issued to your library record and our normal rules apply. You can renew using the online renewal system up to and including the date it is due so long as the book has not been requested by another user and so long as your total fines do not exceed £10. For more information on postal loans please see our webpages or ask Library staff. This entry was posted in Using the Library and tagged how to guides, postal loans, services on 18th Mar, 2013 by reg206.